Tomorrow I will hopefully go to Jensons USA to pick up a Bottom Bracket and finally be able to fiddle with the chain linkage. 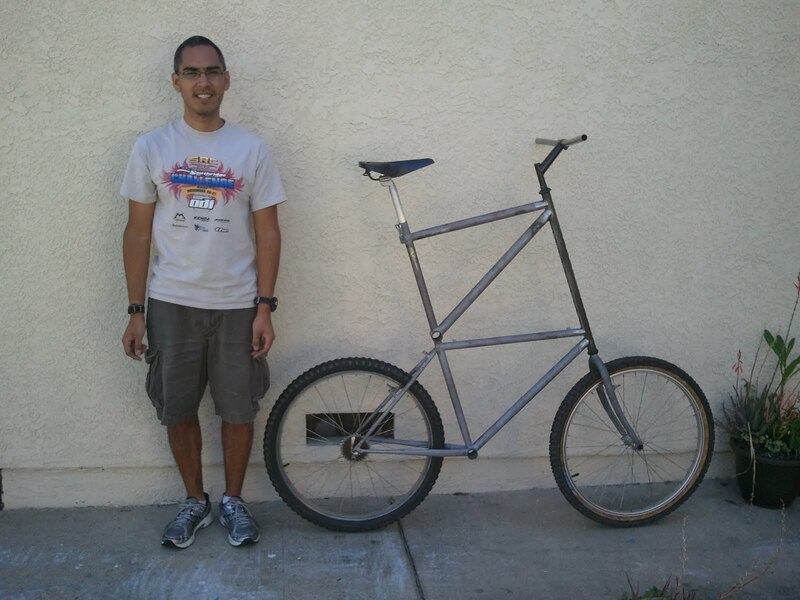 The Tall Bike stands 4' 4" from ground to center of horizontal top tube. I am 5' 8" and look how tall it is compared to me. Getting down looks painful. Enjoy the air up there when you ride!